Do you want to lose your phone? Your answer must be "No". No one wants to get their phone lost or stolen. If you lose your phone the very next thing you want to do is find it and get it back. 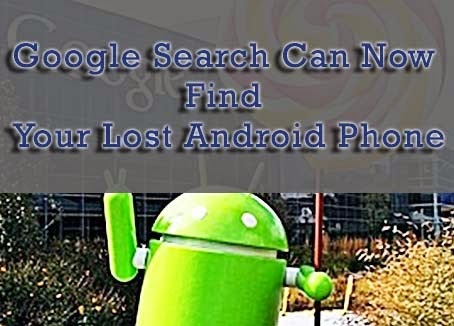 Here I am sharing today how easily you can find your lost android phone using Google search. Google Search has introduced a new feature “Find my Phone” into search bar for Android users to find their stolen or lost smartphone. Until now, if you lost Android phone then you are required to log into Android Device Manager from another mobile device or computer to search. But it wasn’t the best solution compared to this new feature "Find My iPhone" app. You can use "Find My Phone" from anywhere. Now you will see a drop-down list of devices. Confirm identity by signing in again. Now you will see a screen to locate your device. A Google search is the fastest way to find anything, and good news is that now you can even find your lost android phone.